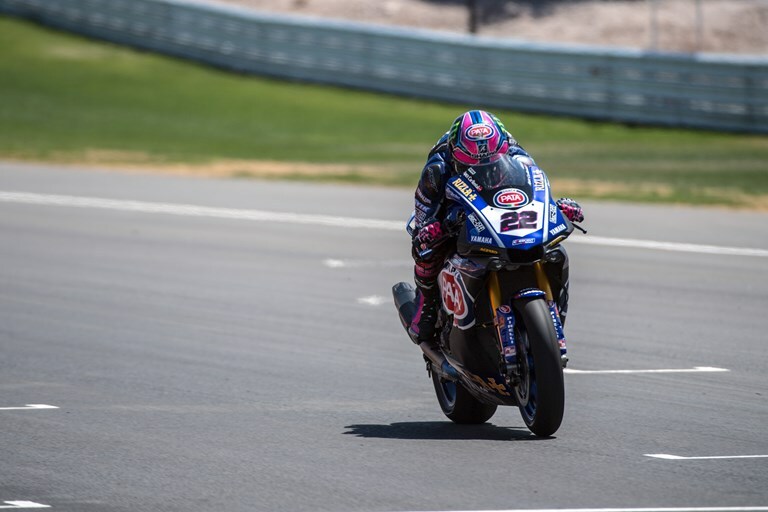 The Pata Yamaha Official WorldSBK Team’s Alex Lowes enjoyed a positive start to the first ever WorldSBK weekend in Argentina. Fourth place on the timesheet at the end of the opening day at the all-new San Juan Villicum circuit means the 28-year-old gains automatic entry to Superpole 2 tomorrow. As the chequered flag was unfurled to bring this afternoon’s final free practice session to a close Michael van der Mark was also inside the top ten, but was then relegated to 11th position when his fastest lap was discounted due to him marginally exceeding the track limits. With the circuit only recently completed and this weekend’s race the first major event to be held at the new facility, track conditions changed considerably for each of today’s three free practice sessions, as the riders in all classes cleaned the track of the dirt deposited on the surface during the construction process. This meant that both riders and crews had to adapt to rapidly changing conditions, with grip increasing lap-by-lap as a clean line started to form around the 11 left and 8 right-hand corners that make up the 2.276km El Villicum circuit. The changing conditions proved no obstacle for Lowes, who was fast and consistent in every session and rounded out his day by posting the fourth fastest time in the third and final free practice, despite some issues with the newly laid track surface breaking up in a number of turns. The Pata Yamaha rider ended the session with a fast and consistent race simulation and is confident of further improvements tomorrow when the track is expected to offer up increased grip as more rubber is laid down. Van der Mark also enjoyed a solid start to the weekend, although the progress he made throughout the day wasn’t truly reflected on the timesheet. The 25-year-old was initially credited with ninth place at the end of today’s third free practice session, but will now have to fight his way through Superpole 1 tomorrow after having his fastest lap deleted due to a track limits infraction at turn nine. The two Pata Yamaha riders declared themselves extremely impressed with the layout of the San Juan Villicum circuit, but they also expressed concerns about the track surface and the amount of debris that was being thrown up when following other riders.